"We would have no hesitation in purchasing another machine from SSE Worldwide. The service we received was second to none, and their advice was invaluable in our decisions. Highly recommended." This digital inkjet printer offers high reliability and performance. The HT1600 digital printing machine price is low on a like for like basis against many other manufacturers. Buy this digital inkjet printer for a fast return on your investment. Perfect for printing on to all types of suitable media. Vibration free water cooled LED curing. We also offer a FASTER version of this printer fitted with the superlative Kyocera high definition print heads. Please complete the form below and we’ll get back to you with more information as soon as possbile. Please complete the following to prove you’re human:43 − 41 = Please leave this field empty. 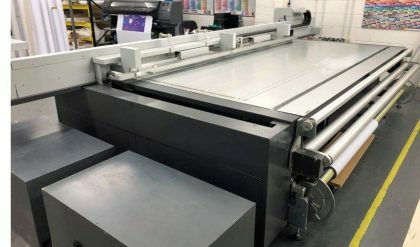 This 2008 used SwissQprint Oryx UV flatbed UV printer in known for it’s high reliability , quality and performance. 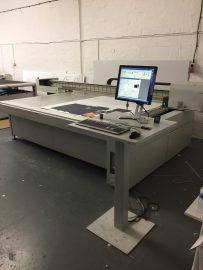 Print area 2500mm x 1500mm. This 2013 3.2m x 1.6m SwissQprint Nyala UV flatbed UV printer in known for it’s high reliability and performance. It is in great condition and has the superb roll to roll system fitted. 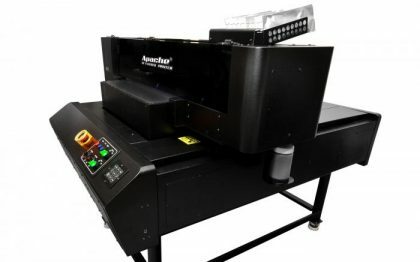 The Apache 6090 evo high speed small format UV LED printer, the perfect choice for custom prints on wood, acrylic among many other substrates including anodised aluminium and glass. Or complete our contact form and we’ll get back to you.